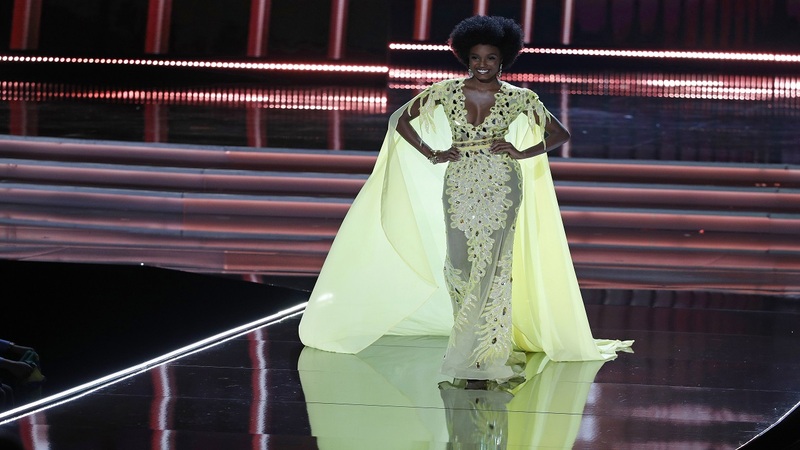 Count one of the United States' largest black-owned businesses among those showering Jamaica's Davina Bennett with praise after her performance in the Miss Universe pageant in Las Vegas, Nevada on Sunday. 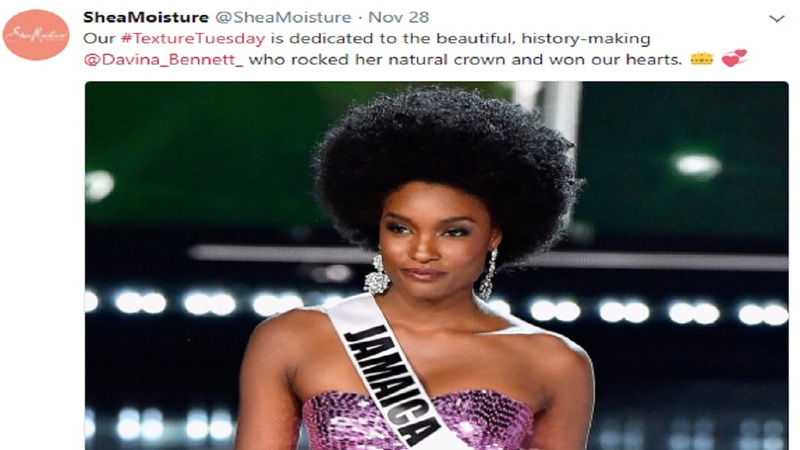 US Natural hair brand Shea Moisture hailed the afro-wearing Bennett on social media yesterday and said that it was dedicating its #TextureTuesday to "the beautiful, history-making" 21-year-old teacher "who rocked her natural crown and won our hearts". 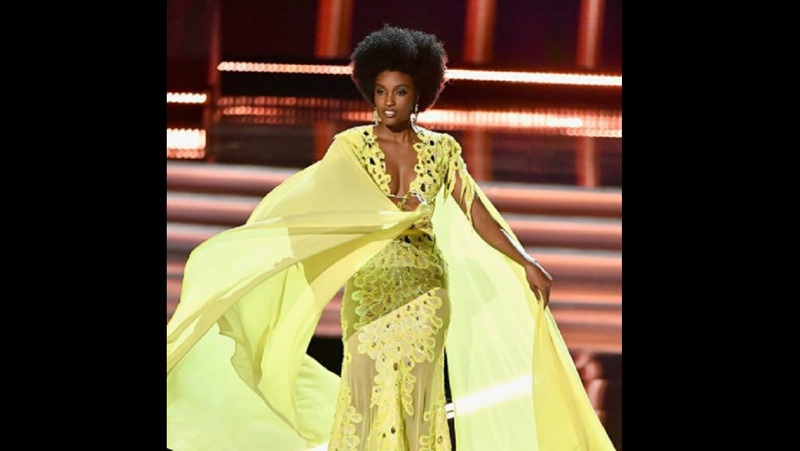 Bennett, who placed third in the beauty contest among 92 contestants, is being labeled an inspiration for black females to be comfortable in their own skin in the face of eurocentric beauty standards. "I did it because I was truly inspired by her. 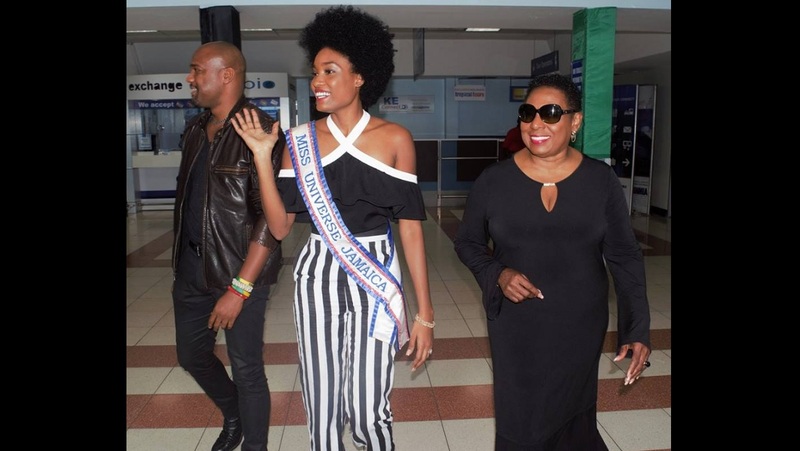 I love the fact she kept it all natural 'cause most of the women nowadays are bleaching and not loving their black complexion, but she is the embodiment of black natural beauty," Cruz told Loop Jamaica. "We need a role model like her for black girls to follow, especially the younger ones who are getting caught up in today's society, trying to be who they are not and impossible to emulate role models they see on TV like Nicki Minaj and Cardy B," he said.